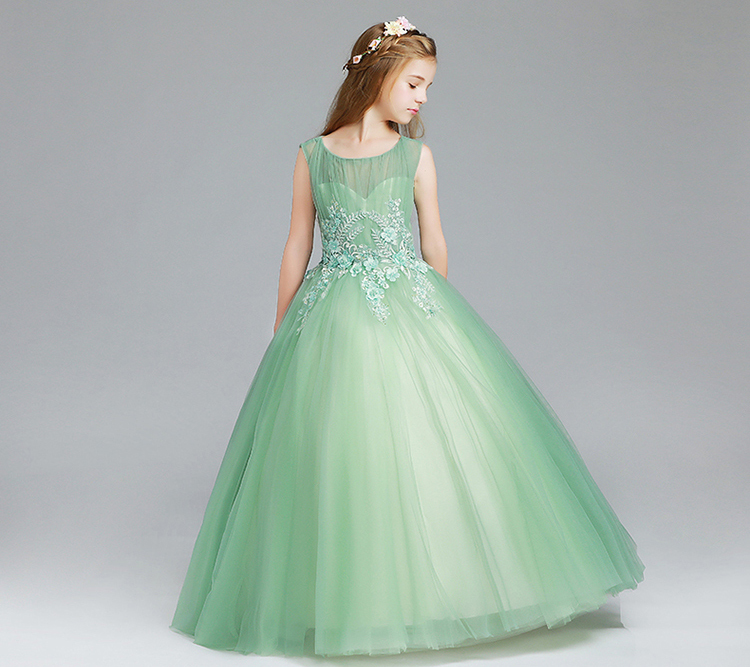 ATTENTION: THIS MODEL WILL BE DELIVERED WITHIN 15 DAYS FROM ORDER RECEIVING. 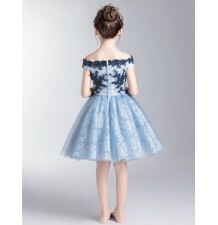 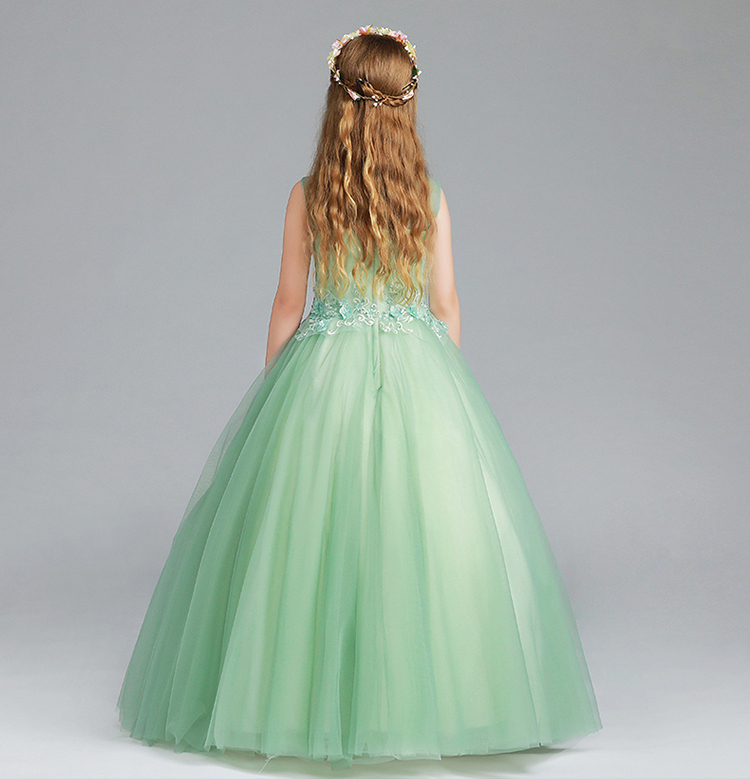 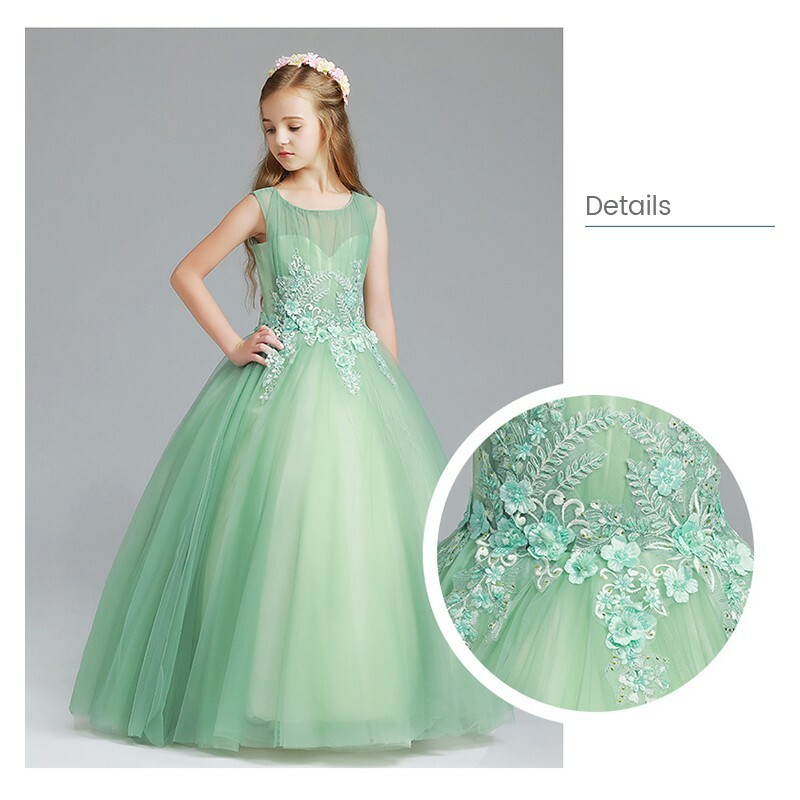 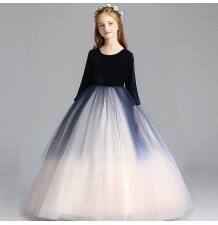 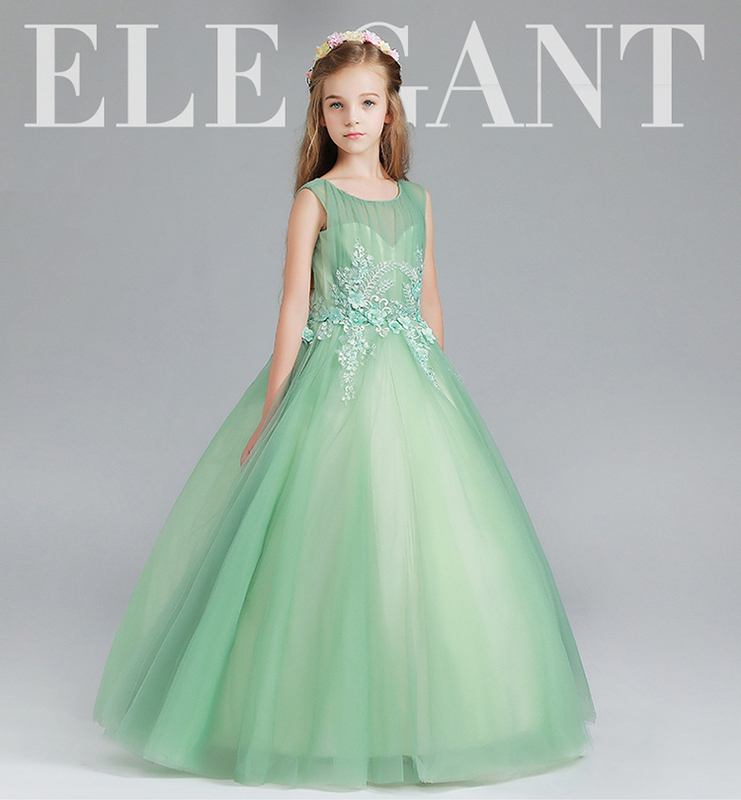 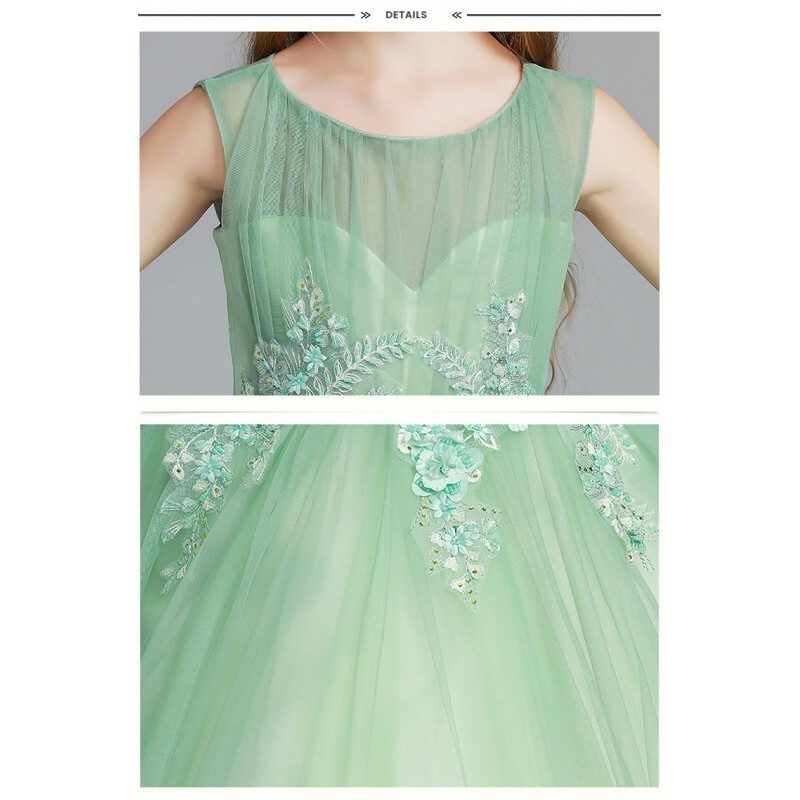 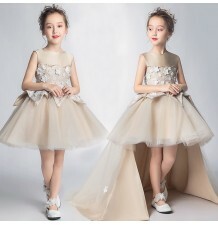 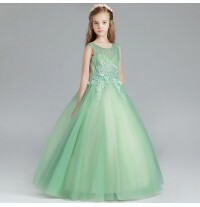 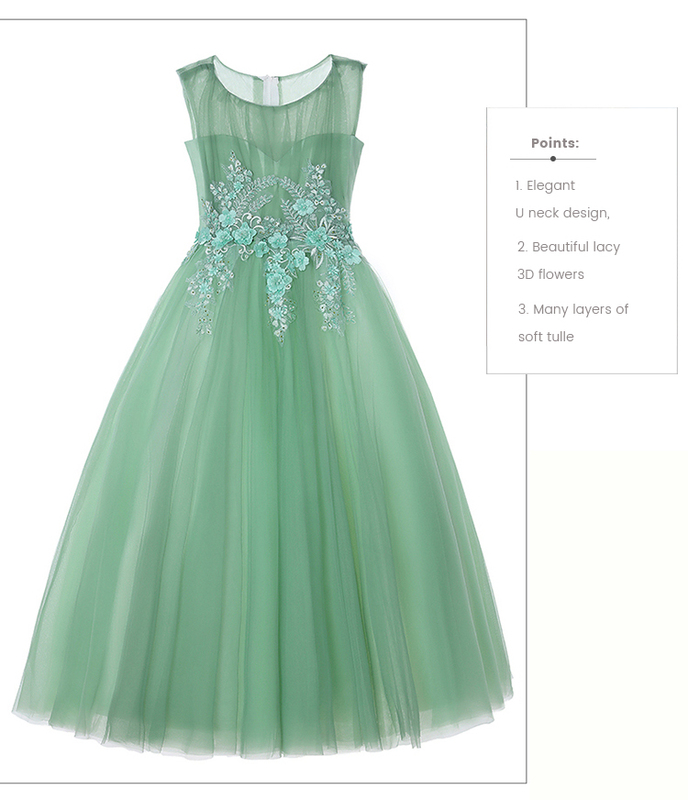 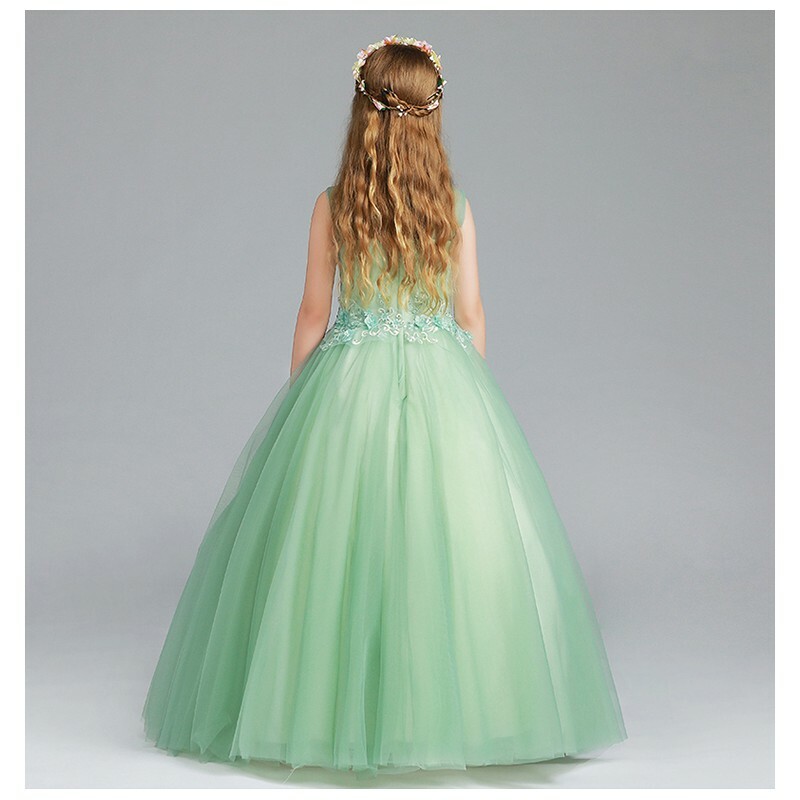 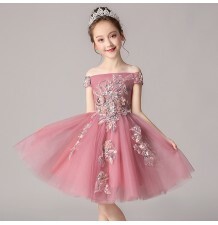 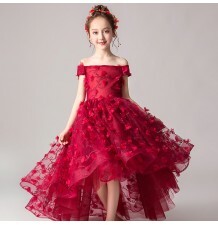 Fine little girl formal long dress, green colour. 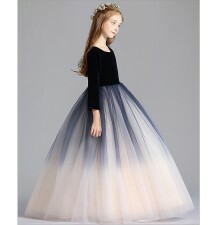 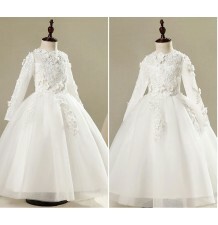 It is embellished with embroideries and flowers on the top and on the skirt. 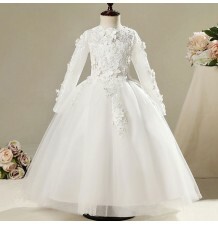 For detailes sizes please see the table here below. 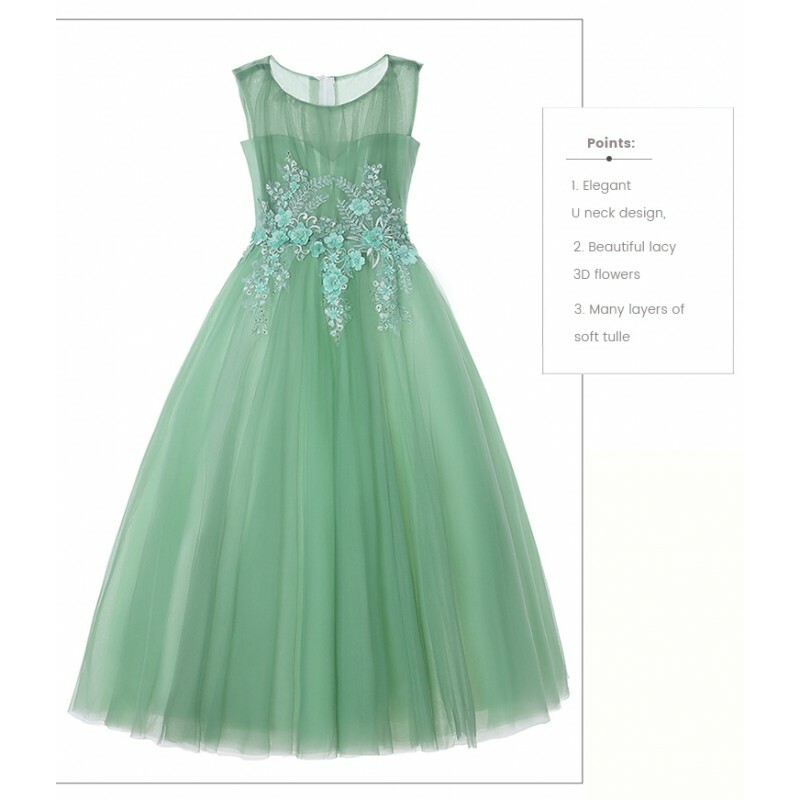 For this model you can ask for a tailored dress (additional 7 Euro). 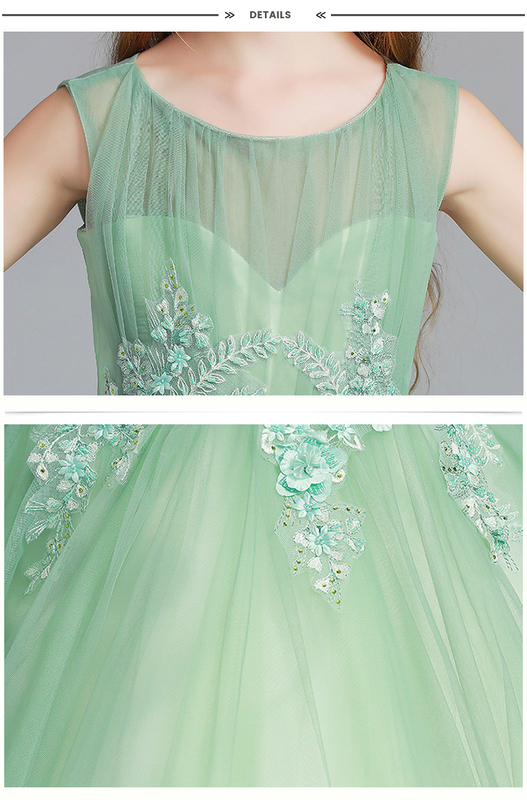 attention: waist measurement shall be calculated 2 cm over belly button.